The other day while I was in Hobby Lobby to use my 40% off coupon I noticed that scrapbooking paper was 50% off. It’s not like I needed paper, but Paper Studio had a really cute themed stack “The Great Circus Company”. It was just to good of a buy and to cute to pass up. If you’re a scrapbooker/paper crafter I’m sure you understand. I know I’m not the only scrapbooker/paper crafter who has a lot of “themed paper“. I have Christmas paper, Halloween paper, Valentines Day paper, fall paper, birthday paper, school paper, … and the list goes on and on. I don’t think I’ll ever use up all the paper I have. 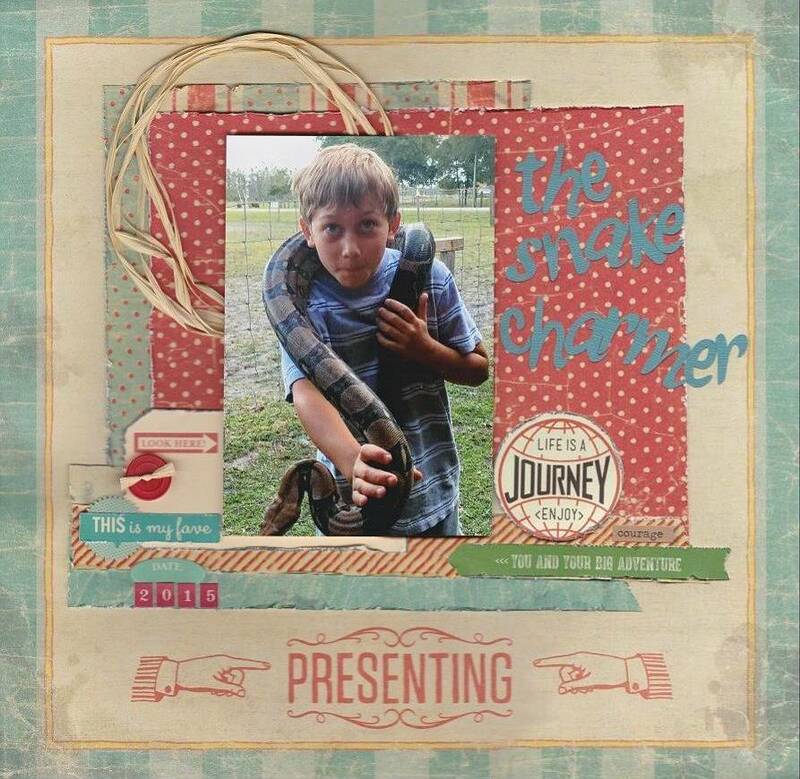 This brings me to my challenge for the Turtle Soup National Scrapbook Day Mini Crop. Think outside the box. Create a layout, card, tag, ATC or altered project and use themed paper for other than what it was meant for. I used the “circus” paper to create a layout of Isaac at the petting zoo. Be sure to check out the details for this challenge in the Turtle Soup forum. You’ll also want to check out the rest of the challenges from the Design Team … and be inspired.